The Azure DocumentDB Data Migration Tool is an open source solution that supports importing from a variety of sources as well as exporting data as JSON. 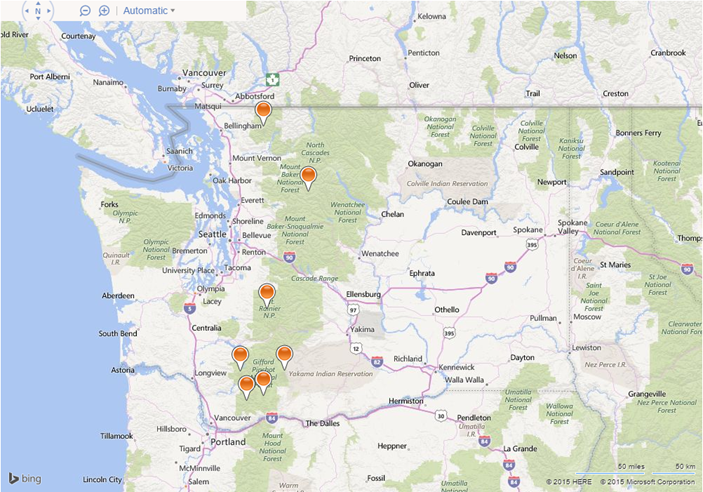 We are pleased to announce geospatial support for the Data Migration Tool. You can now import GeoJSON into DocumentDB through the Data Migration tool and index your document’s geospatial properties. 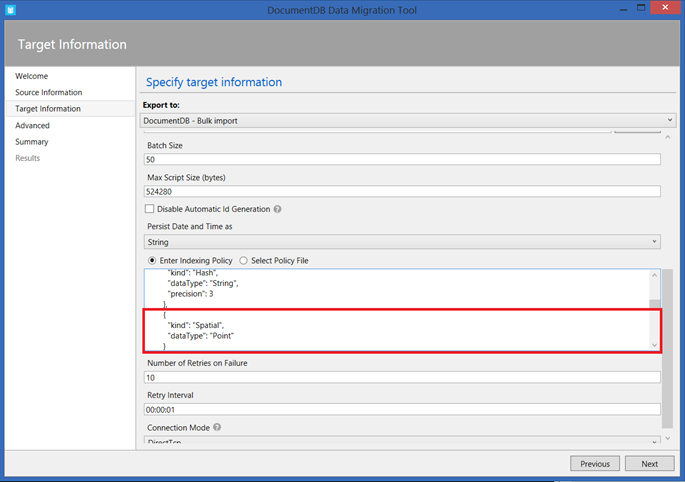 If you are importing geospatial data from SQL to DocumentDB, the Data Migration tool will automatically convert the geospatial data to GeoJSON. DocumentDB supports real-time queries with built-in geospatial functions: ST_DISTANCE and ST_WITHIN. Both the Default and Range indexing policies, which you can access by right-clicking in the indexing policy text box, automatically have geospatial indexing enabled. By indexing your spatial data in DocumentDB, you can perform proximity queries against the database. For example, you can find all coffee shops near your current location or find all restaurants within the state of Washington. The updated migration tool source code is available on GitHub and an updated compiled version is available from the Microsoft Download Center. For more instructions on how to use the tool, including command line samples for each data source option, head over to the DocumentDB import data article. Try out DocumentDB today by signing up for a free trial and create a DocumentDB account. If you need any help or have questions, please reach out to us through the developer forums on StackOverflow or schedule a 1:1 chat with the DocumentDB engineering team.